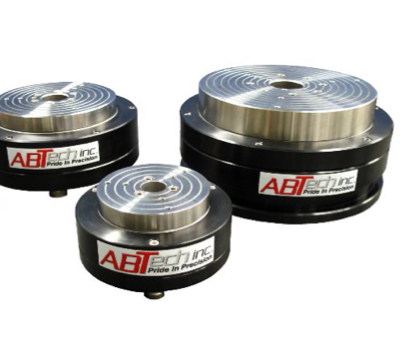 The AT Series is commonly used as the core axis in equipment checking runout (TIR), roundness, squareness, concentricity and parallelism measurements. 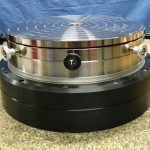 They are ideal as stand-alone units for checking runout of turned parts, optical lens alignment, assembly applications, precision indexing, and light machining or grinding. 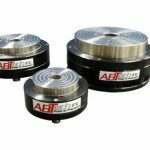 Industries such as aviation, aerospace, automotive, energy, optics and medical devices have deployed our air bearings to meet their ultra-precision measurement demands. Meeting your specific needs by providing configuration flexibility is integral to our design philosophy. You can choose our standard manual spin tables or opt for a motor-driven table. 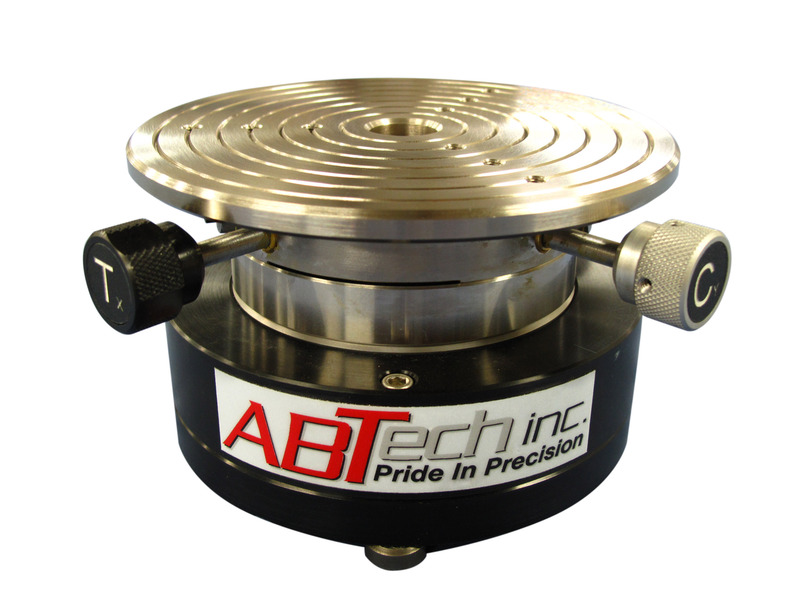 Manufactured with tight geometric tolerances, our standard air bearings deliver radial and axial error motion of <2.0 µ” (50.0 nanometers) and angular errors (coning) of 1.0 µ” per inch (25.0 nanometers/25nm). And custom configurations can deliver the ultimate in accuracy with radial and axial error motion of as little as 1.0 µ” (25.0 nanometers) and angular errors (coning) of 0.5 µ” per inch (12.5 nanometers/25nm). 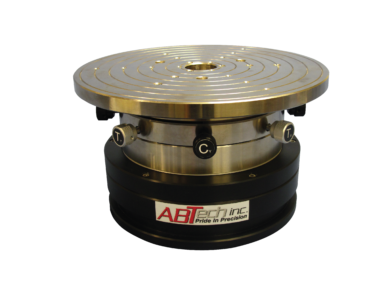 Air bearings provide significant advantages over mechanical bearings or other approaches to precision worktables. Because they have no mechanical contacting parts to wear, or create drag, air bearings are close to frictionless, providing ultra-smooth, repeatable and maintenance-free motion. 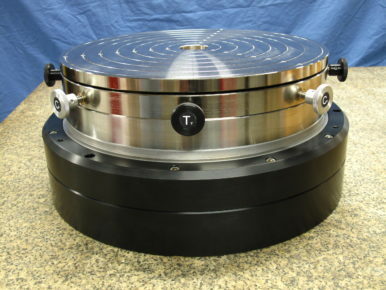 Metrology is no longer relegated to the quality control lab. To maximize productivity, we know that many of your applications require integrating measurement devices within the production and assembly processes. That means being exposed to harsher environments. That’s why we use hardened 440C stainless steel components – so you’ll experience many years of service and investment longevity. As important, the durability of our tables affords forgiveness for minor accidental touch downs resulting from low air pressure or excessive loading. And if an accident does occur, often the air bearing will only need to be repaired rather than completely replaced.